Whitco are bakery specialists and have been specifying and installing commercial bakery equipment since 1995. Public demand for bread and cake products is on a vibrant upswing. UK-wide, the number of independent bakers increased by 20 per cent in 2017. Between 2012 and 2016 numbers rose by a staggering 1,500 per cent. 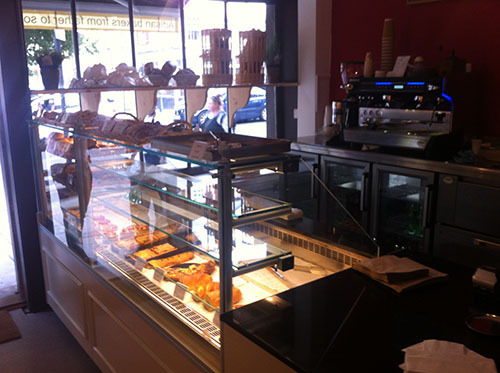 Since the late 1990’s and the start of the coffee culture era, Whitco have been supplying modular or fully integrated refrigerated and ambient counters to the independent boulangerie, patisserie and bakery market adding instant merchandising and storage to size of businesses. Consumers are realising that bread is actually a healthy pleasure to eat, not just a cheap necessity as they turn their backs on typical wrapped supermarket offerings. For their part, supermarkets and major bakers have upped their own game by offering more craft and artisan breads. The demand is there – and it’s growing. Our customers look to us to provide expert advice, installation and after-sales service. Whitco are bakery specialists and have been specifying and installing bakery equipment since 1995. We know the industry and supply equipment, spare parts and breakdown and preventative maintenance to the UK baking industry. We supply and install equipment Europe’s best-known bakery manufacturers allowing us to provide complete production solutions for independent retail and wholesale bakeries through to large-scale plant production facilities. We offer support to customers by providing a full range of equipment and spare parts from our knowledgeable and experienced sales and spares departments, along with bakery service and maintenance by our own dedicated team of bakery maintenance engineers. Whether you are looking to set up a bakery from scratch, replace existing bakery machinery or for servicing or spare parts for your existing equipment you should talk to Whitco. Our bakery service engineers carry a wide range of spare parts for breakdowns or preventative maintenance. We hold an extensive range of spare parts, operating instructions and technical specifications and have efficient direct contacts with manufacturers in Europe to ensure quick identification and supply of urgently needed parts. Whitco were asked to upgrade and relocate the old bakery into a new baking facility and supply additional state of the art bread baking equipment. 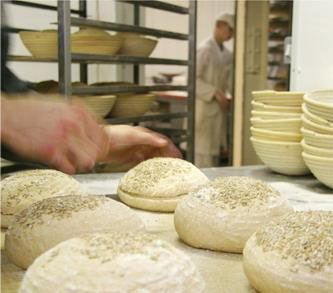 The specification for the appliances provided had to both modernize and cope with the huge increase in Bread & Co’s business, but deliver home-made, organic and traditional breads to their discerning customers. We had to source a manufacturer that could design and build a bespoke oven that not only was efficient but could deliver a substantial range of hand moulded and artistic breads. Bread & Co have since been recognized as an individual, award-winning business with an impressive national client list. The ovens at Bread & Co following their installation. Whitco really understands the needs of artisan baking, with over 25 years of knowledge, the company has designed, specified and installed and varied array of bakeries, from large plant operations to small-to-medium sized retail outlets. Aux Pains de Papy is a French bakery near Kings Cross, run by Mathieu Esposito. 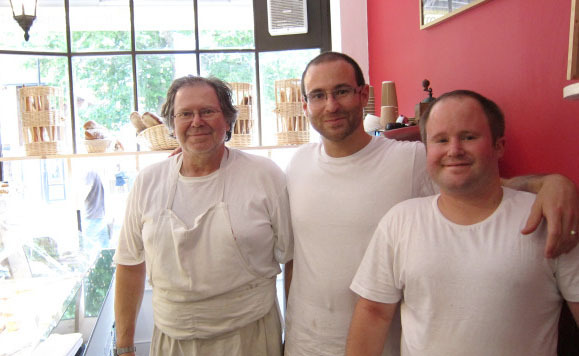 The Esposito-family has 70 years of bakery experience. The tradition began with Mathieu’s grandfather, Honoré, in the South of France in 1948. 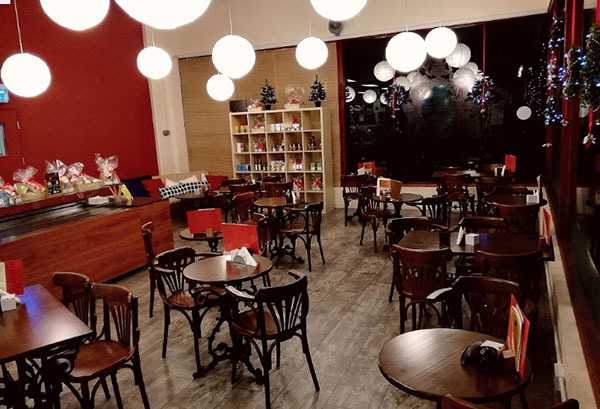 Aux Pains de Papy, is a beautiful bakery and retail outlet occupying the ground floor and basement areas. The smells and the visual appeal of the products is very tempting. Once you sample the breads and pastries, you are smitten! Whitco staff were lucky to be amongst the first to taste the bread products. As consumers are becoming more discerning, there has been a demand for high end, quality bakeries, which Aux Pains de Papys certainly fills. We worked with Diana and Geraldine, two visionary Parisians who realised their dream to create an authentic boulangerie-patisserie in Bedford. Our work involved design and installation of the bakery and the café areas. You can watch Géraldine and Diana at work through the feature window behind the shop counter, so you can see that all their breads, pastries and cakes are freshly and lovingly made on the premises. They’re also on hand to talk customers through their mouth- watering selection of goodies. Delices of Bedford wanted a traditional looking fully integrated counter with a mixture of ambient and refrigerated space.